One more wedding photo session in Prague has joined the collection of the photos of Cheezz.ME. Victoria and Ivan flew from Moscow to Prague to get married in accordance with all the laws and canons. The couple lived this special day of their life under the sign of “FOR THE FIRST TIME”. Let us tell you why. The wedding will be in Prague! 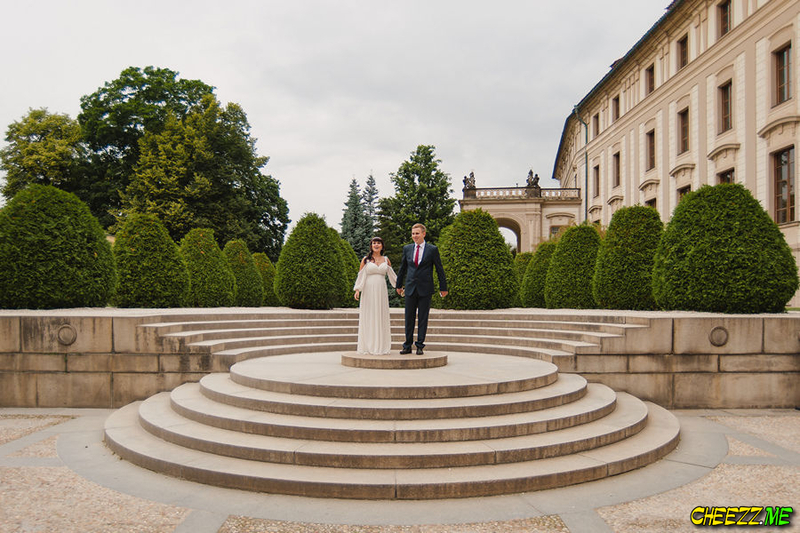 In addition to visiting this fantastic city for the first time in their life, the newlyweds have never had the experience in working with a professional photographer, so the wedding photo session in Prague was also the very first experience of photographing for the couple. So a very big responsibility fell on our photographer’s shoulders which was multiplied by the coefficient of inexperience of the newlyweds. In fact, Victoria and Ivan are not an exception. Almost everyone who appears in front of the camera for the first time feels embarrassed and shy. The main thing here is to break the ice first… subtly and quickly. Fortunately, we are experienced enough as all our customers who order the service of a guide-photographer are satisfied, and this is what matters most. 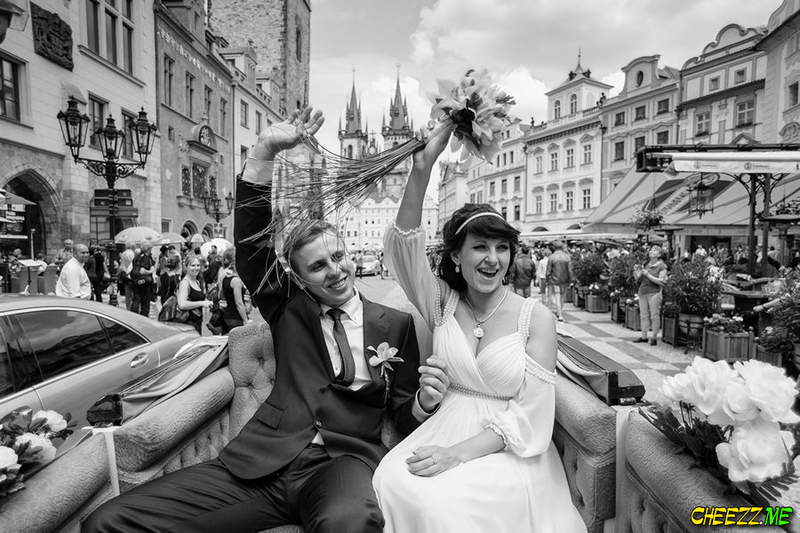 When the ceremony at the Old Town Hall was over, Victoria and John together with their dearest and nearest people (there were only 9 people at the wedding – such a small number of guests is very typical for the ceremonies in Prague) went for a ride in a carriage and walked around the city. And our wedding photographer in Prague was an “eye-witness” of all these wedding activities. 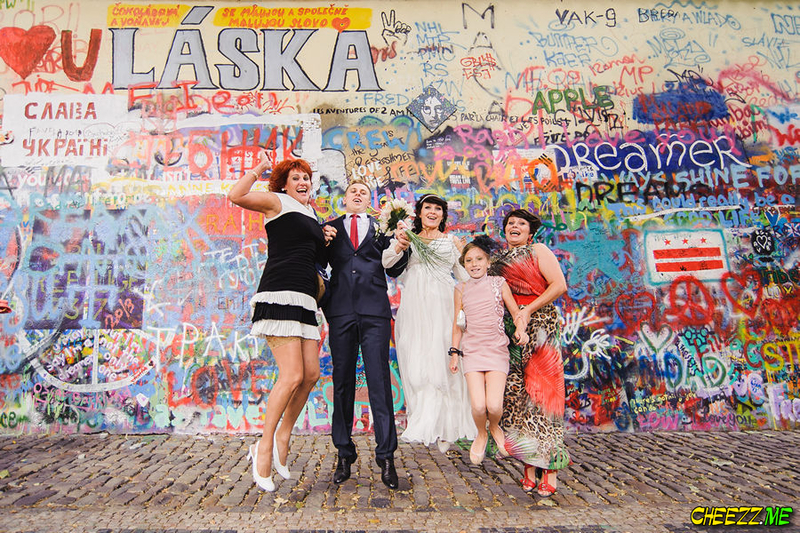 The Vltava quay and famous John Lennon Wall turned out to be the most colourful and interesting places for the guests and the newlyweds. The photos of the wedding in Prague taken here proved to be great and amazing. The photo session lasted for several hours. After that the married couple and their family and friends went to the restaurant to celebrate the first birthday of a young family, and our wedding photographer in Prague hurried up to handle the photos. 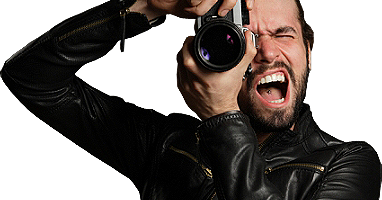 Our company offers not just high-quality photos at reasonable prices in different cities of Europe and the world. You get a professional photo session in Prague and the result won’t keep you waiting. You can find details in contacts.